These are the questions teachers are asked across the state and nation on a daily basis. 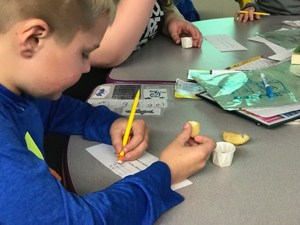 Schoolcraft Community Schools has begun to innovate in a variety of ways while connecting to their community in an effort to make learning authentic. As a result, these questions are no longer heard in numerous classrooms. Schoolcraft Community Schools, as part of its Strategic Plan, adopted Essential Learner Outcomes for all students to master. These outcomes were the driving force to change the approach to teaching and in turn changing the way students are learning and assessed. A Director of Innovation was hired during the summer of 2016 in an effort to breathe life into the new district Strategic Plan. This position supports teachers and administrators by providing professional learning and development embedded within the school day. In addition, the Director of Innovation brings new authentic learning possibilities to the district as well as networking opportunities for the staff. The fulfillment of the District Mission: “Educating and Empowering Each Eagle to be Successful in Life” is embodied in his work. Community partnerships with local businesses, industry, and public works have begun to connect student learning through authentic experiences. 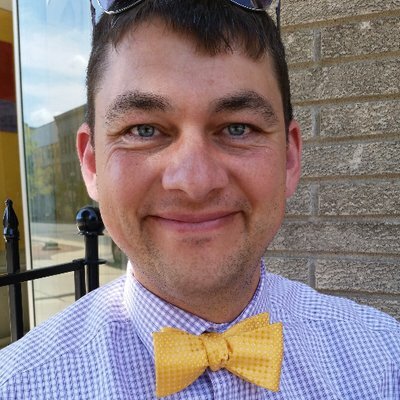 Being a standards-based district, teachers at each level are connecting the “Schoolcraft” Standards” to real-life problems and areas of improvement that local entities face. Students work on these problems in unison with classroom activities and present their “answers” to the members of our community. Feedback is given by these authentic audiences rounding out not only the content learning but also the Essential Learner Outcomes expected of all Schoolcraft students. Partnerships begin with a phone call and a visit including this one-page introduction to how the business/partner can become involved. What problems do you deal with here on a daily basis? What is a task upcoming you’d like to streamline? Where do you need innovations to improve production/workflow? What qualities do you need in future talent? The curriculum team then toured the facilities asking more questions and took all the data back to the district to find connections to Schoolcraft Standards being taught across the K-12 spectrum. Connections were found between Walther Farms upcoming project to replace 1-2 varieties of potato plants. Standards were found at our elementary level in science, math and ELA. A website, including a “hook” video, was created and Walther Farms shared some basic data and maps to enhance the curriculum already in place to teach these varieties of standards. Students then utilized their own voices and choices to create artifacts and experiments to solve the problem presented. The culmination activity for this project was having the elementary students present their findings for the entire East Coast Walther Farms leadership team at their conference. Walther Farms management has committed to utilizing the students’ findings for their upcoming plantings and will give students an update once the project has completed. It is imperative to bring relevance to students’ learning. The authentic audience of “real life” businesses helps with student motivation and cultivates local business connections. Students are now ready for jobs of the future. Students present to a real-life person who values their work. Students can see application of their learning, not just an antiquated retention of knowledge format. Students see how they can benefit their community through their learning. Students can have their eyes opened to career possibilities they may not otherwise be exposed to. Students are excited to share community connections with their family, enhancing an entire network of work/learning lives. Students create a rubric for what and how they should display their learning, allowing for choice and voice.